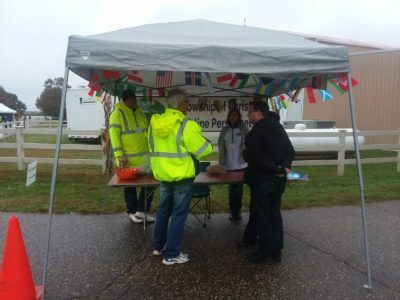 Outreach at Shannon Airport in VA … Rain or Shine! 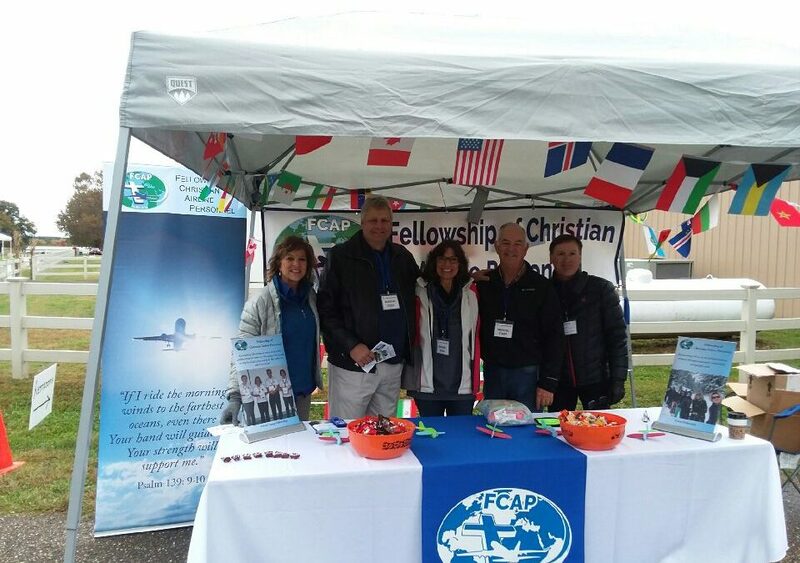 We are so very grateful for opportunity FCAP recently had to make our presence known in the general aviation community where lots of airline/aviation people roam about. Such was the case at Shannon Airport in Fredericksburg, VA over the weekend of October 23. In attendance at this Fall Festival were approximately 1,200 people. This was a much smaller group than expected, but heavy rain on Friday and into Saturday kept many who had planned to be there away. But as the weather cleared, the event went on, including the air show. Among those in attendance were many retired people as well as young people interested in the industry. Thank you, Luke Curtas (Paul’s brother), for giving us this opportunity. 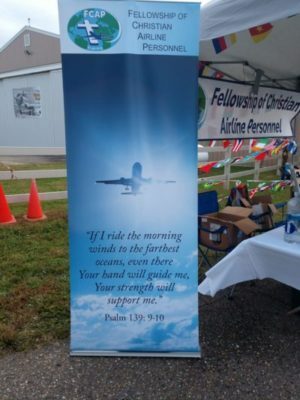 As owner of Shannon Airport, Luke desires to show his support of Christian ministry in the airline/aviation community by having our presence there. 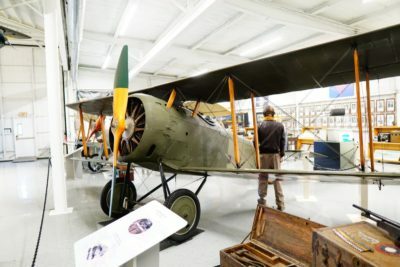 If you are ever in the Fredericksburg, VA area, please stop by to visit the airport and their aviation museum. We also want to thank Tim and Carol Files (Delta/ATL), Joel and LeeAnn Nelson (Delta/MSP), Jake and Joanna Joseph (Republic/ATL), Eugene and Christina Kraybill (Mesa/United Express/IAD), and Paul and Claudette Curtas for helping before and during the event.